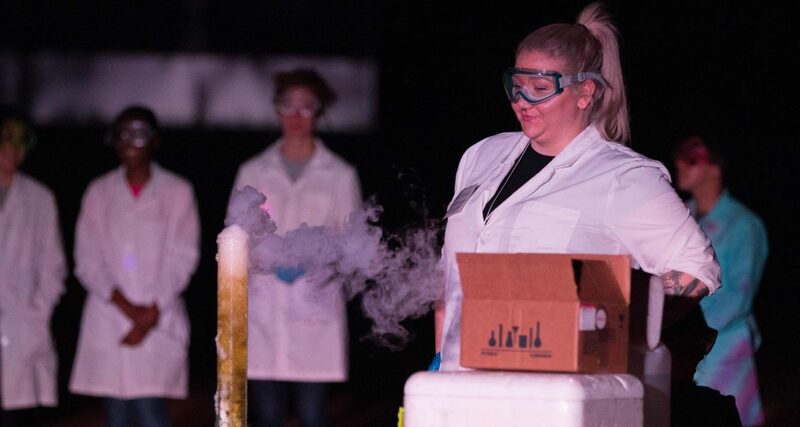 Sigma Pi Chemistry Club hosts exciting events like the annual “Demos in the Dark” presentation with exciting chemical reactions performed by students. The club also regularly participates in community service projects and holds regular meetings. The club has received Outstanding Chapter Awards and Green Chapter Awards from the national organization.